What he didn’t see was the trouble to come. 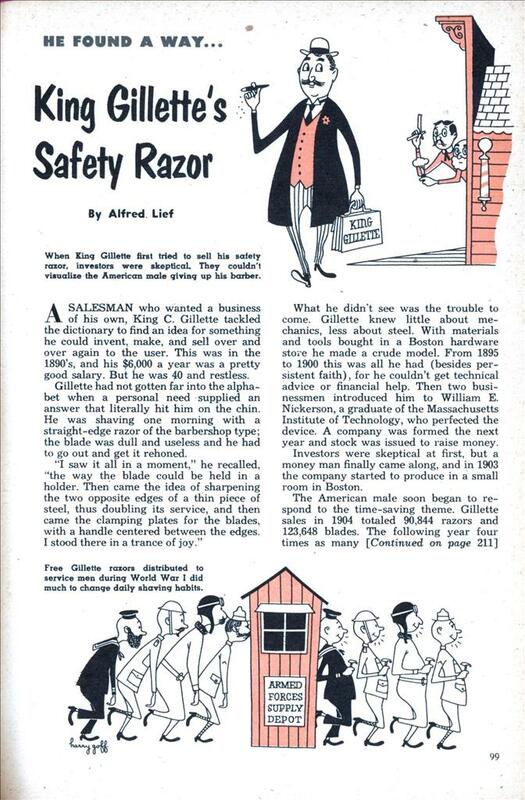 Gillette knew little about mechanics, less about steel. With materials and tools bought in a Boston hardware store he made a crude model. From 1895 to 1900 this was all he had (besides persistent faith), for he couldn’t get technical advice or financial help. Then two businessmen introduced him to William E. Nickerson, a graduate of the Massachusetts Institute of Technology, who perfected the device. 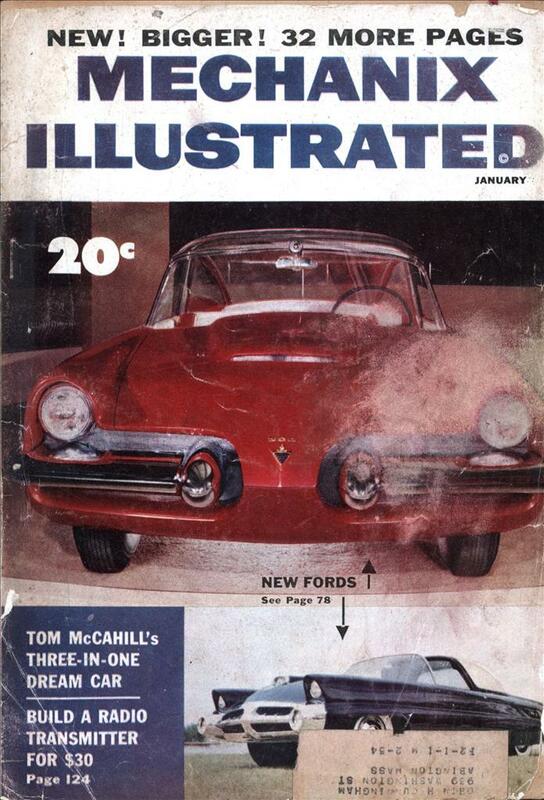 A company was formed the next year and stock was issued to raise money. Investors were skeptical at first, but a money man finally came along, and in 1903 the company started to produce in a small room in Boston. The American male soon began to respond to the time-saving theme. Gillette sales in 1904 totaled 90,844 razors and 123,648 blades. The following year four times as many razors were sold and ten times as many blades. By 1917 the company was selling more than 1,000,000 razors a year and 120,000,000 blades. Another vision struck King C. Gillette— the gift of a razor to every man entering the armed forces. The company officers improved on this. They sold the government 4,800,000 razors at cost and let Uncle Sam present them to young bucks whose fuzz needed grooming. Out of the war came the new masculine habit of self-shaving, and a fellow could now travel in a Pullman and dispose of his blades through a slot in the washroom wall. Just before the basic patents were about to expire in 1921, the company sought to forestall a flood of imitations by lowering the minimum price of a razor from $5 to $1. They realized it was less important to make a profit on razor sales than it was to keep pushing the blades. World War II taught millions of men to shave daily. That was a new milestone in the business. Today the company manufactures 10,000,000 razors a year. Gillette is truly the King of the Safety Razor. The Engineer, Nickerson, never could have made it work on his own. Who the hell would buy a razor with the word “NICK” in its name?